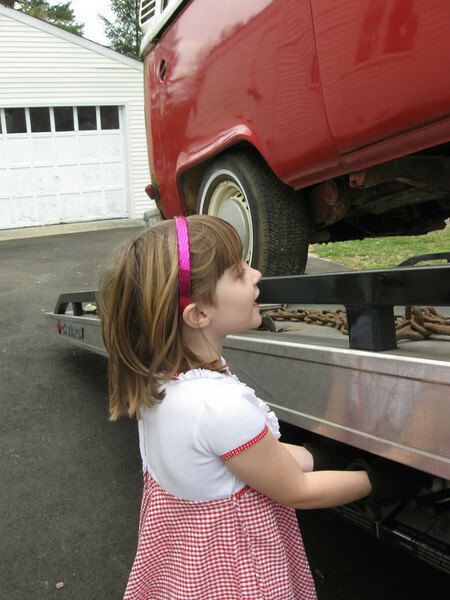 The flatbed that brought the vehicle saw how excited she was, and offered her his gloves so that she could unload the vehicle. (He's standing just out of frame in case something went wrong.) She followed instructions and put it down in the driveway, neat as you please.